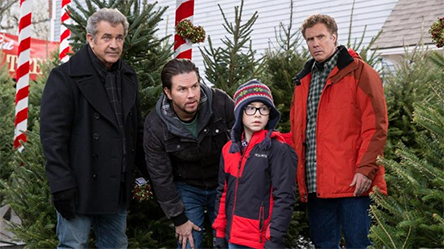 Paramount Home Media wasted no time in the New Year with the announcement this past week that writer/director Sean Anders’ smash comedy sequel, Daddy’s Home 2, will be available as a three-SKU product offering on Feb. 20. The ARR comes in at 102 days and ticket sales currently stand at a robust $102.3 million. That’s outstanding for a sequel, especially when the major media critics panned it … but audiences howled and that, in the end, means that they had the last laugh! With those numbers for a sequel, you can expect a re-match with these various dads (just a question as whether you can corral the actors). As to SKU configuration for Daddy’s Home 2, Paramount will be delivery a 4K Ultra HD/Blu-ray Combo Pack, a Blu-ray/DVD Combo Pack and a stand-alone DVD edition. The casting of Mel Gibson as Mark Wahlberg’s father was inspired, equally so was that of John Lithgow as Will Ferrell’s eccentric dad. Since director/writer Sean Anders and Mark Wahlberg served as executive producers, there’s a good chance that another go‘round for this winning combination could surface (if Wahlberg can work it into his busy schedule). 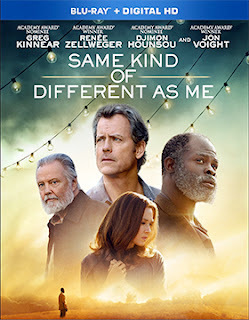 Also heading home on the same date, Feb. 20, is writer/director Michael Carney’s faith-based film adaptation of Ron Hall and Denver Moore’s best-selling biographical novel, Same Kind of Different as Me. Blu-ray and DVD editions will be available. The ARR is 123 days and domestic box office receipts came in at $6.4 million. Based on a true story (and told in flashback), Greg Kinnear stars as a Texas-based international art dealer by the name of Ron Hall, who strikes up what proved to be a life-changing friendship with a homeless man named “Suicide” (aka: Denver Moore) played by Djimon Hounsou, while volunteering at a homeless shelter. Renée Zellweger plays Hall’s wife, Deborah, who had a “vision” of Moore’s character and instructed her husband to befriend him.